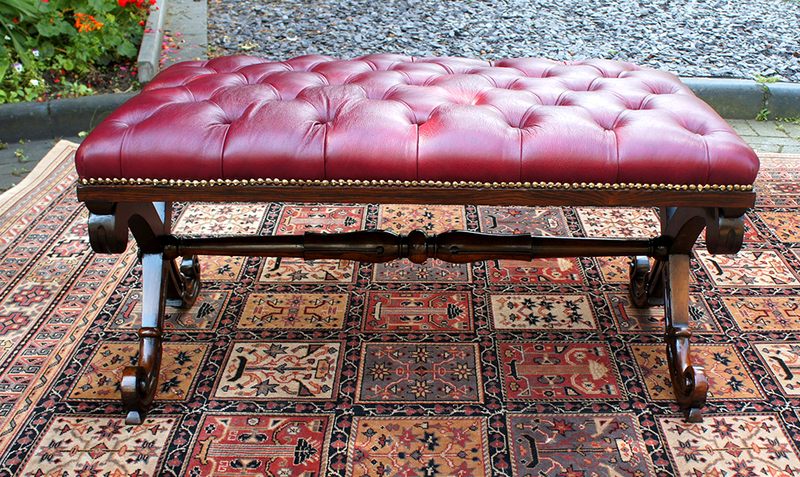 This good quality carved antique rosewood stool is in good original condition and a rare survivor from early 19th century with no breaks or old repairs. 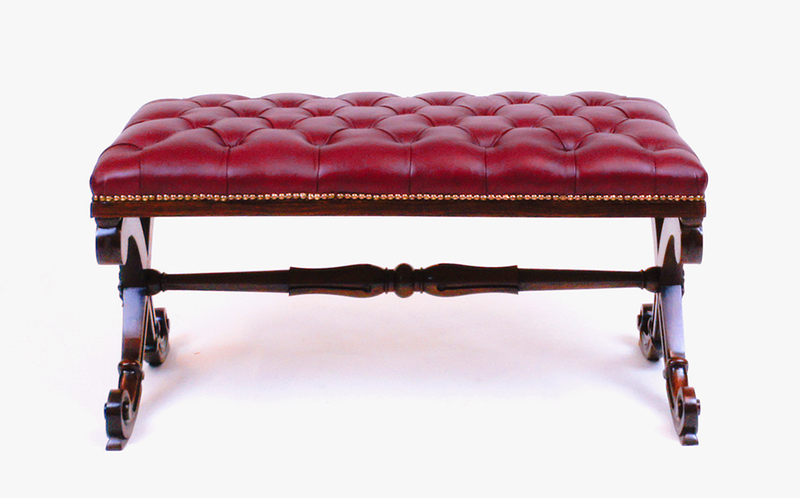 The stool has been made to the highest standard from top quality timbers and has the original finish. 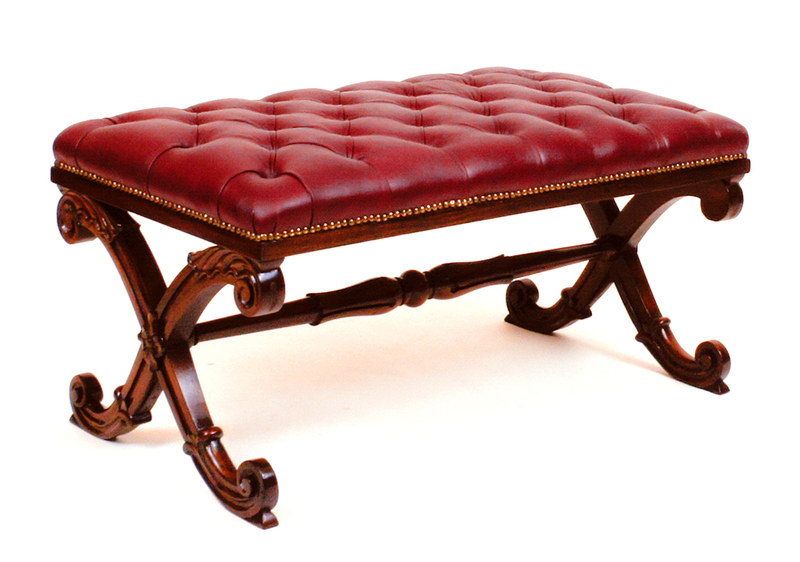 This good quality carved antique rosewood stool is in good original condition and a rare survivor from early 19th century with no breaks or old repairs. 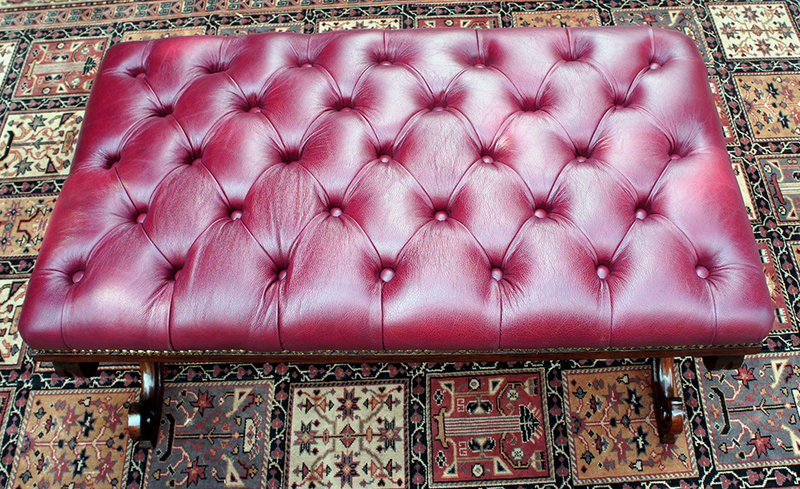 and has been upholstered in a buttoned crimson hide with a brass studded border. 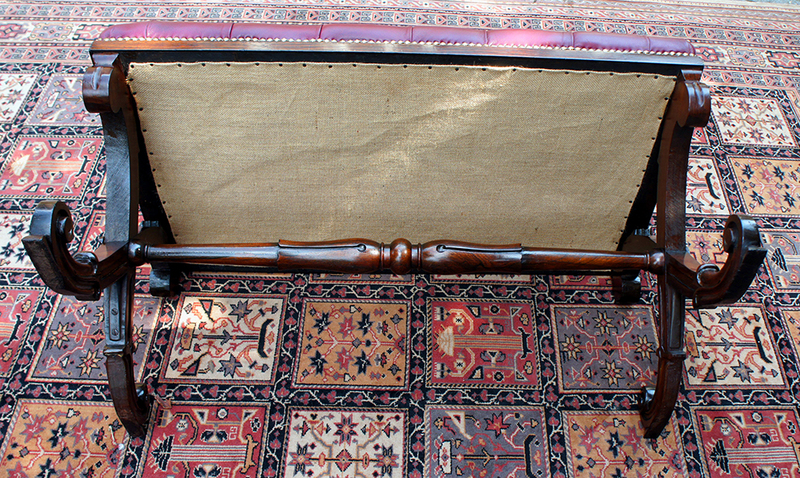 This very handsome antique stool has an 'X frame' design with carved end supports and a well turned central stretcher. 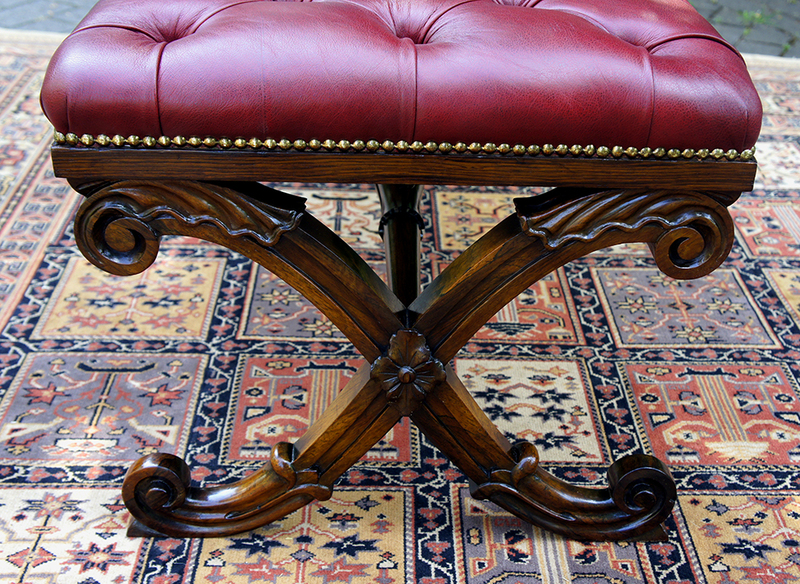 As a larger sized stool, it is big enough for two people to sit on which is quite rare for stools of this age. please contact us quoting reference: SN713.